As the level starts, keep moving and dodging the owls and sharks until you reach hopping spiky balls. There is a wooden platform between the two balls. Slap it to fall in the secret room. 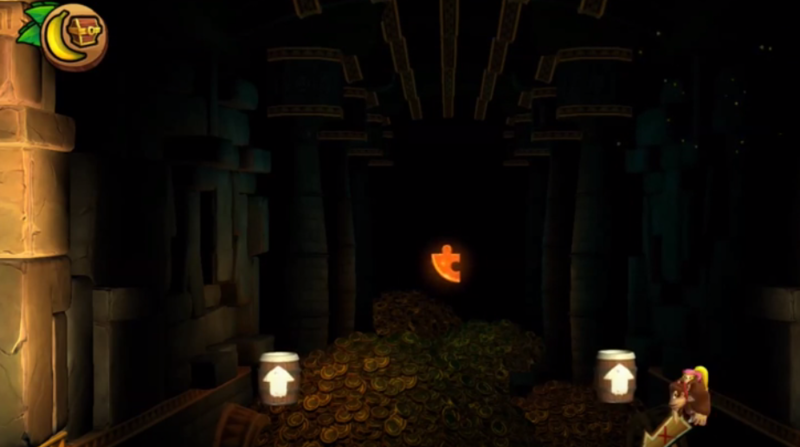 Collect all the bananas and you will get the first puzzle piece. 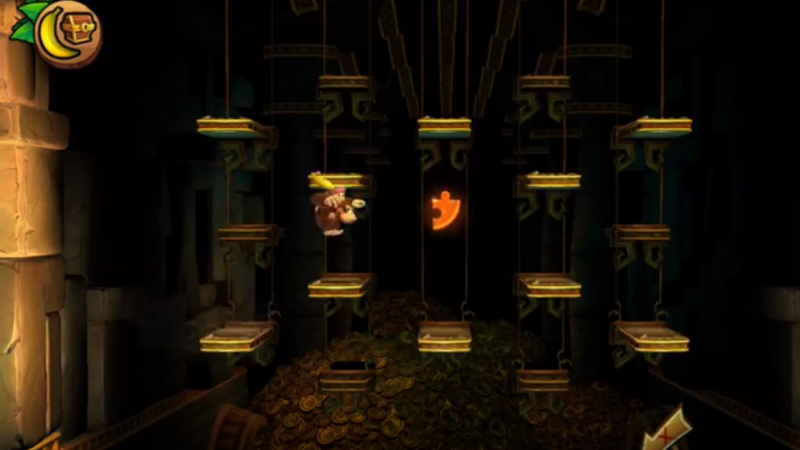 Once you are in the water, you will then enter a room that will have a water-sucking pipe that pushes it out again. There is a ring of bananas in that in and out of the water. Collect all of them to get the second puzzle piece. Now come out of the water, and you will reach a checkpoint. Past that checkpoint there will be three penguins, take them out and the collect all bananas that are floating above the boat. Once you get all of them, you will get the third puzzle piece. Continue forward and you will encounter some purple spiky balls. There will be a hopping platform before those, dive underwater from there and then go to the bottom. There will be a hidden cove below with a bunch of yellow fruit inside. Collect them all and get the fourth puzzle piece. Go up and then continue to the right. 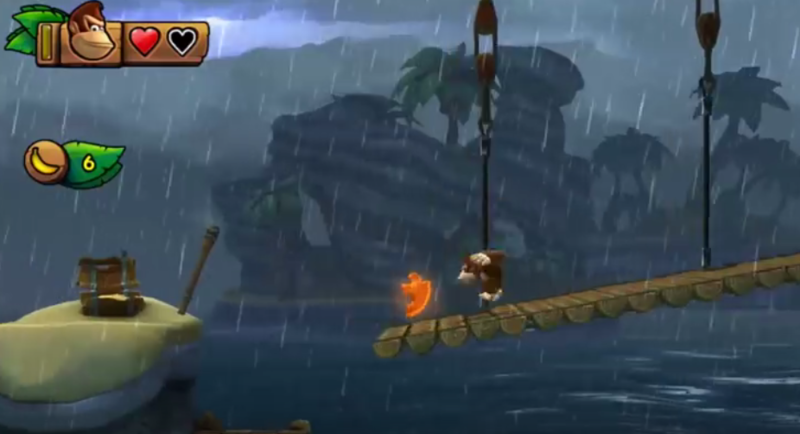 Go past the KONG letter O but don’t grab the swinging vines. Dive into the water instead and swim to the left side. There will be a blast barrel hiding there, swim inside it to launch yourself into the secret room. Collect all bananas to get the fifth puzzle piece. Keep moving and you will again end up in the water. There will be another suction pipe as before. But there will be some enemies as well. 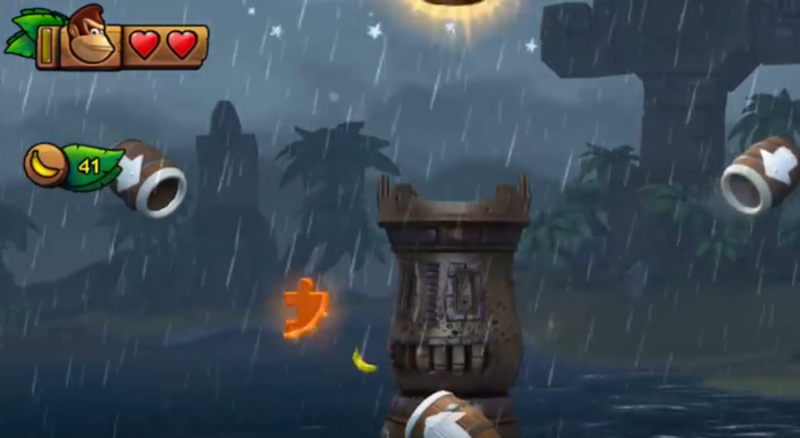 Collect all bananas going in and out and you will get the sixth puzzle piece. Past the checkpoint, there will be another hopping boat. There will be two platforms like a teeter-totter. Get the first bunch of bananas and more of them will appear. Grab all of them going back and forth between platforms. After getting them all, you will get the puzzle piece. Keep playing the game and you will reach a blast barrel that is above the water. Don’t go in the barrel, instead, go in the water and head all the way towards the right side. You will get the eighth piece there. Now go to the blast barren and it will launch you to the end where there will be a slot barrel. Don’t go in there yet. 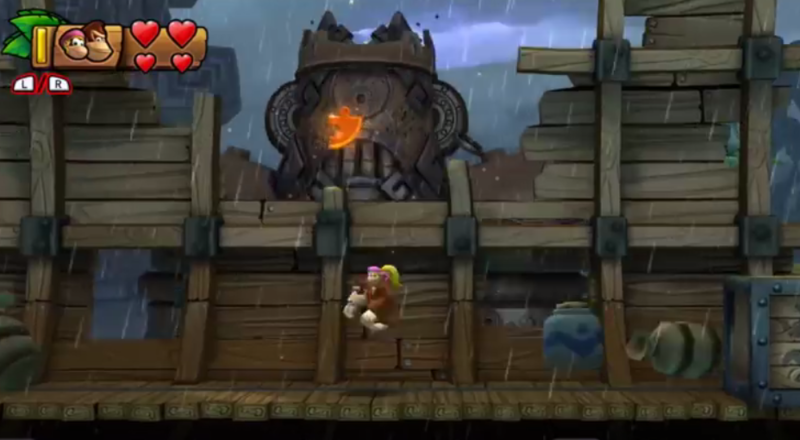 Blast past the slot barrel to the barrel on the right and then shoot yourself again to get the final puzzle piece. Follow all of the steps above to getting all of the nine puzzle pieces and you will be able to get them all on the first try.